Ok, another non-interiors entry, but as I said before, this is a STYLE blog, which encompasses just about everything under the sun. 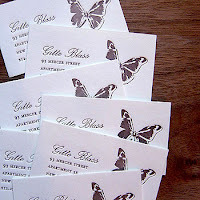 Black Pearl Press is a wonderful letterpress studio that my most fabulous friend Kate alerted me to. 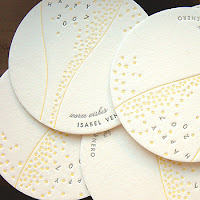 The site is absolutely gorgeous, her wares beyond compare (and having had a wedding in which I demanded letterpress, I should know!) and even a studio that is tres chic (check out that yellow wallpaper-to die for). I hope to take a tour of her studio soon, in the meantime I’ll continue to drool over her website! 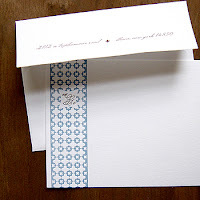 If anyone has a wedding coming up, it is a must to check out for invites!